*Full shipping policy Ships out in 5 DaysThis ships out within 5 business days following your purchase. 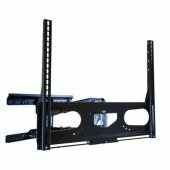 The only TV mount on the market that starts low and swings out and around objects above it. It is perfect in low cabinets, under windows, on half-walls, or any location that is too low for normal TV viewing. The Up and Over Manual Mount features the same superior grade steel, Made in the USA build quality, and ease of use that made our flagship Down and Out Mount, the market's most trusted articulating mount. 32" of total vertical travel from bottom position to top (up) position. Clears ledges, shelves, and other obstructions up to 16" deep - perfect for mounting under ledges, in cupboards, or within indented wall boxes. 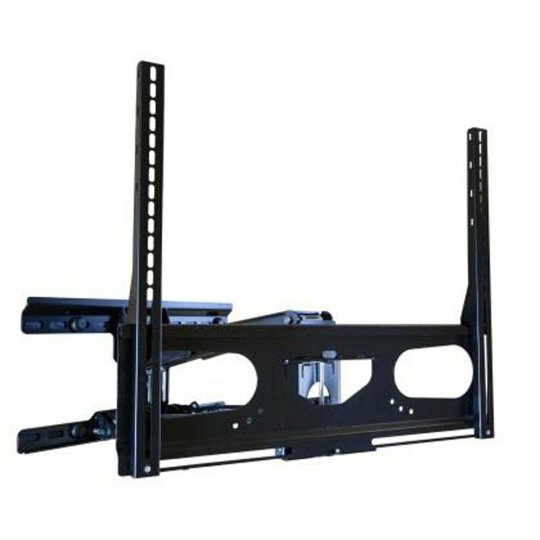 Fits most 40 inch and larger Flat and Curved TVs, up to 120 lbs, Check your television's weight and mounting hole pattern to ensure this mount will work.